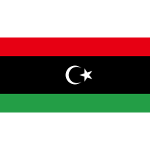 Commemoration of the Victory over Gaddafi is a Libyan public holiday observed annually on March 19. It celebrates the anniversary of the beginning of NATO intervention during the 2011 Libyan Civil War. Muammar Gaddafi was the de-facto ruler of Libya for more than four decades. He took power in the 1969 coup d'état. In 1977, he proclaimed the Great Socialist People's Libyan Arab Jamarihiya. Gaddafi's authoritarian regime was overthrown in 2011 during the Libyan Civil War, also known as the Libyan Revolution. The revolution in Libya began on February 17, 2011. By early March, some parts of the country were under control of the rebels. Gaddafi's attempts to suppress the revolt were condemned by the United Nations. On March 17, the UN Security Council passed a resolution that formed the legal basis for military intervention. The intervention began on March 19, when French military jets entered the country’s airspace on a reconnaissance mission. The beginning of the second period of the civil war was a turning point that eventually resulted in the liberation of Libya. Therefore its anniversary was declared a national holiday. The anniversaries of the beginning and end of the civil war are celebrated as well.